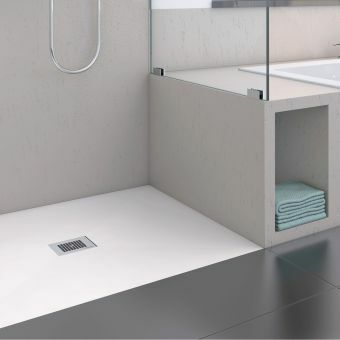 The Wedi Fundo Primo Shower Base offers a world of opportunity in creating your new wetroom or bathroom shower space. 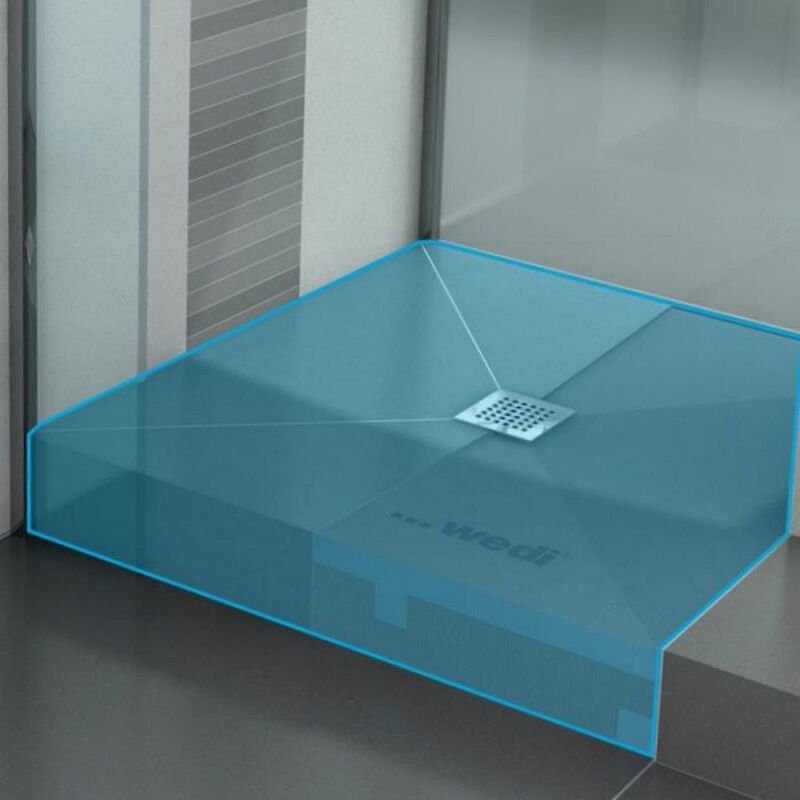 Wedi being a market leader and high-quality German manufacturer offer a 100% waterproof guarantee on their products. 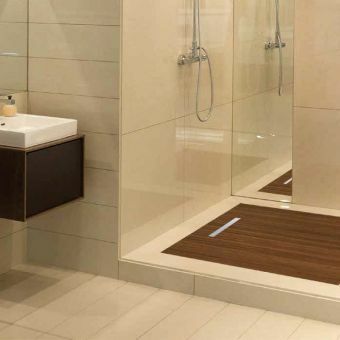 These shower bases can be tiled on to allowing full customisation into your bathroom design. 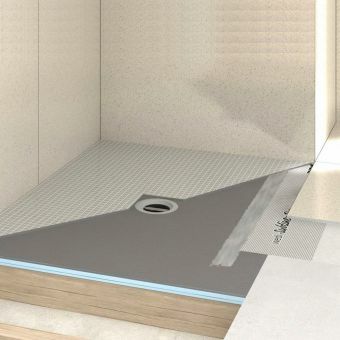 The walls and adjoining floor sections can be waterproofed in addition, simply build out from the Fundo Primo base with adjoining Wedi board, using the Fundo Sealing Set and Wedi 610 adhesive Sealant as per Wedi’s fitting instructions for a guaranteed 100% waterproof finish. 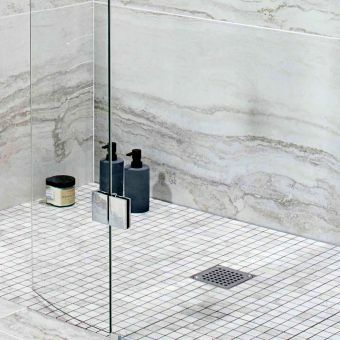 This will allow you to continue your chosen bathroom tile across the shower base area and up onto the walls for a single finish look, maximising the appearance of space and giving a clean look to the room if you choose. 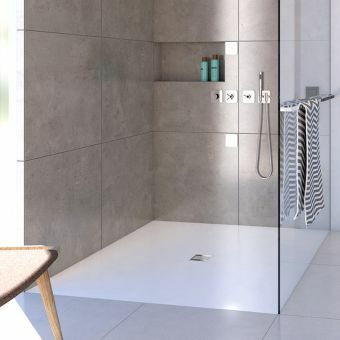 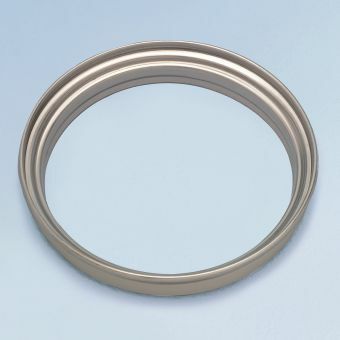 Choose from a variety of sizes from the very compact 900 x 750mm, up to a generous 1800mm long for your shower base area, then select your drain position. 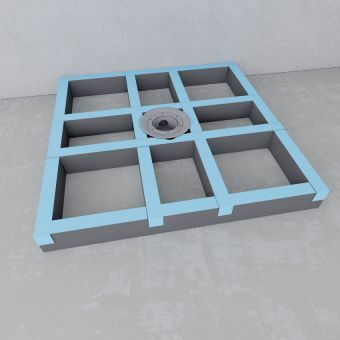 Your options for the waste position are centre, corner and offset drains. 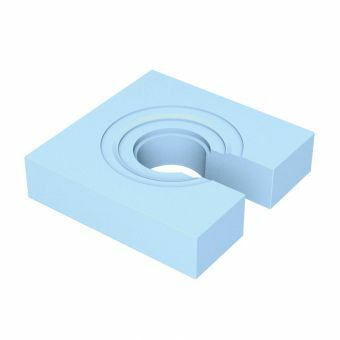 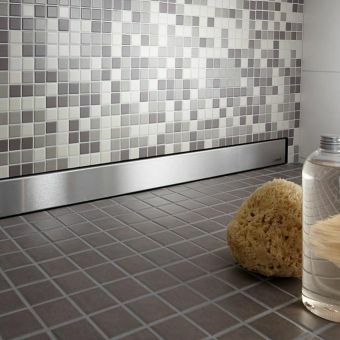 Square bases are best with centre drains to draw the water down evenly, corner and offset drains are best for rectangular shapes, where the water needs to be brought down the side that will have more water volume on quickly, avoiding any excess water pooling and sitting on the base which can be unsightly, impractical when showering and unhygienic. The waste types, Vertical, Horizontal, or Mini Max Extra Flat all include a steel waste grate as standard. 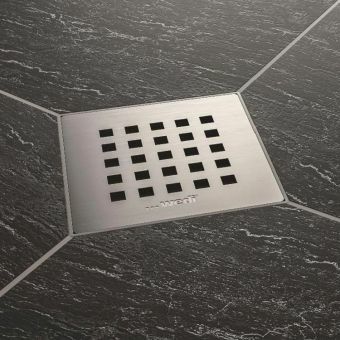 Other Fundo Drain Grates can be ordered, please contact our sales team for more information if you require an alternative grate drain design. 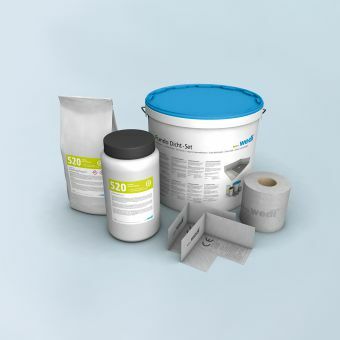 The vertical waste is suitable for where you need to bring the waste straight down vertically and the horizontal waste evidently is for horizontal waste outlet circumstances (the most popular choice). 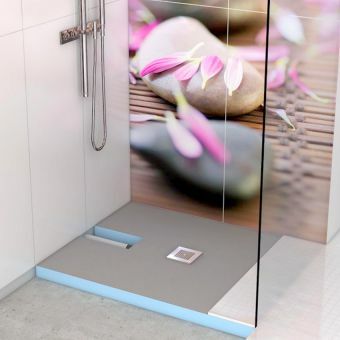 The Mini Max waste will save you a little space under the shower base as it is a more compact version, this is a horizontal waste.